Yellow turquoise dyed gemstone beads 8mm smooth round. Bright turquoise color with shade variations. 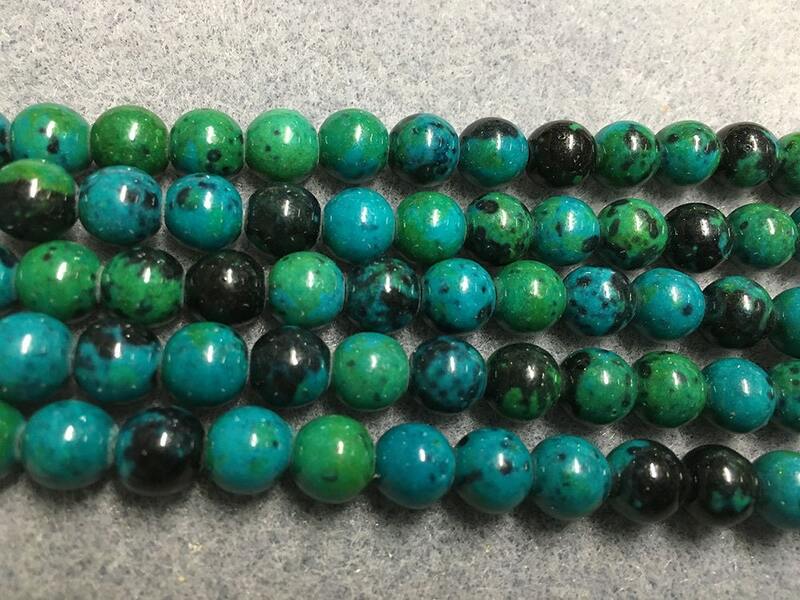 Yellow Turquoise isn’t actually turquoise at all, it is a jasper / serpentine stone. There are approx 26 beads per 8 inch strand. Beautiful! Perfect for my project. This is a return to the shop because I had such a great first experience, and I love it, I’m super glad to have found it and will be back again!